Aspiration Hosting launched our new online store – MagePlus Online Store. MagePlus allows you to set up your store in a single day. You can launch your site so easily. And also you can customize your store as you wish. 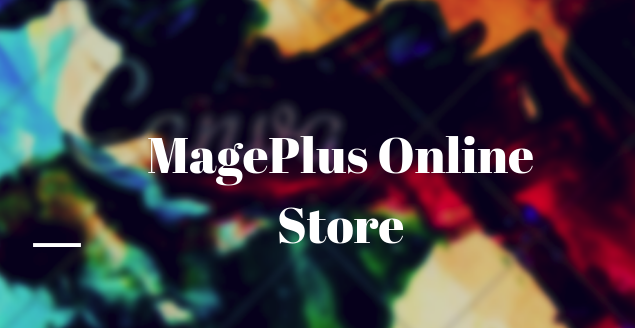 Our technical team will be there for you to start up with Mageplus online store. We offer 24/7/365 technical support. Slow speed will affect your website badly. This will result in a higher bounce rate and also the loss in sales. An important factor which determines the success of your eCommerce store is how SEO friendly your website is. Since all the MagePlus stores are SEO friendly, you can achieve better Google rankings very easily. Thousands of plugins available online will help you to change the functionality of your site as you like. Also, you can change the look and feel of your site completely by using the templates available online. In our 3 plans, we provide 24/7/365 technical support. We will not charge you any setup fees. Along with these, we offer unlimited staff accounts, unlimited number of products, unlimited specials and also discounts. We won’t allow any 3rd party Gateways in any of our plans. In the Basic plan, we won’t allow any 3rd party extensions and also advanced blogging. In this, there is no Global CDN. You will have 1 core processor in Basic Plan and 2GB memory and also 10GB SSD Disk space. In the standard plan, we allow 5 number of 3rd party extensions. The standard plan comes up with Global CDN and 2 core processors. This plan also includes 2GB memory and 30GB SSD Disk space. In the standard plan, we allow 20 number of standard extensions. The advanced plan consists of Global CDN and 4 core processors. It also includes 4GB memory and 60GB Disk space. To know more about our plans and features, please visit us. Along with every account, we guarantee 99.9 % uptime. This is done with our servers at different locations. Once a request arises the data will be taken from the nearest server location thus reduces the chances of the downtime. We have server locations at United States, United Kingdom, Australia and also Singapore. So that way you can choose the servers nearest to your location. If you want to transfer your website we also provide free website transfer. We also offer a 30 day money back guarantee. If you are not satisfied with your service, we offer all customers a 30 day money back guarantee. We also offer daily free backups. We at Aspiration Hosting are here to help you to build a great site. You can approach us at any time. You can reach us through Live Chat, Helpdesk and also Phone. Our experts are always ready to help you.